What could be better than your favorite pair of denim jeans? Try a colossal 70-by-55-inch beanbag chair, clad in America’s No. 1 workhorse fabric. Design Public is offering a 25 percent discount—plus free shipping—on its extraordinarily oversized beanbag, made from 98 percent organic cotton and a smidgen of elastic for stretch. Good through Friday, the offer only requires you to mail your unwanted dungarees to Fatboy U.S.A. at 875 W. Sandy Lake Road, Suite 100 Coppell, TX 75019, where they’ll be passed along to peeps who could use a pair. Now if only Fatboy would also use preloved trousers in its wares—that’s the kind of feel-good comfort we’re looking for. 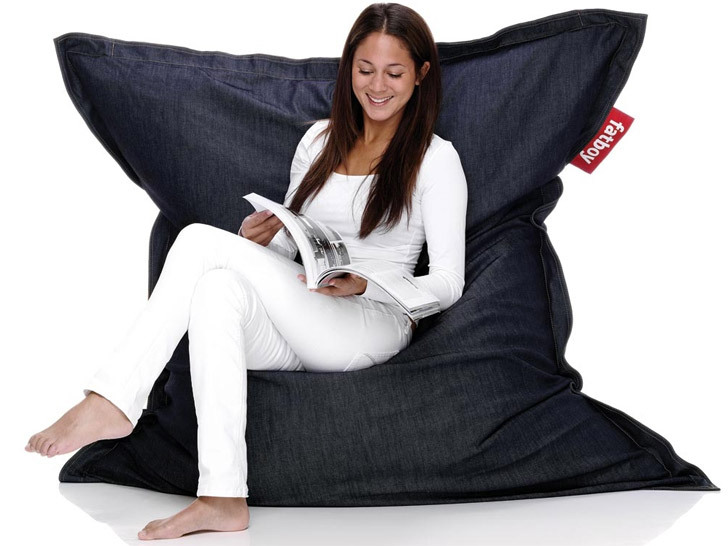 What could be better than your favorite pair of denim jeans?�Try a colossal 70-by-55-inch beanbag chair, clad in America's No. 1 workhorse fabric. Design Public is offering a 25 percent discount�plus free shipping�on its extraordinarily oversized beanbag, made from 98 percent organic cotton and a smidgen of elastic for stretch. Good through Friday, the offer only requires you to mail your unwanted dungarees to Fatboy U.S.A. at 875 W. Sandy Lake Road, Suite 100 Coppell, TX 75019, where they'll be passed along to peeps who could use a pair. Now if only Fatboy would also use preloved trousers in its wares�that's the kind of feel-good comfort we're looking for.